This entry was posted in Uncategorized and tagged Uncategorized on December 28, 2009 by Mommy Yam. I had a little notion about web hosting when I post my first entry on this site. All I knew was I’ve got a free template from Blogger to launch my blog on and I’m ready to go until recent development drives me to learn about web hosting. I really need to know about this term now that I bought my own domain name and hire the services of a web host company. Online friends are patient to explain to me what web hosting can do to my site since I’ve started receiving opportunities. Simply put a web hosting service allows a blogger like me to make my own site accessible through the Internet and the web host service provide a server space and amenities for my website to run efficiently. My friend said my files and my database are protected that they can be easily restored if ever the web host servers will encounter any technical problem in the future. She offered a friendly web host package for me and who can resist that. I’ve got 10,000 MB disk splace, unmetered bandwidth, has slots for up to 5 subdomain and a ftp account. There are also different web hosting packages that suit the needs of every website owners no matter how big or small their site is. You can select from acquiring shared web hosting; dedicated web hosting; reseller web hosting; or rely on free web hosting just like this site. So, if you are serious about hiring a web host for your personal or business website, you must refer to a web hosting guide in order to search for web host providers and learn about their hosting plans and what people tell about them. Who knows the first provider that you may choose offer promotional or discount coupons, that’s a lot of help if you are running on a tight budget these days. This entry was posted in Uncategorized and tagged web hosting on December 27, 2009 by Mommy Yam. What is good about my kids’ age now is that they can express themselves and assert what they really like. For example, they will tell us about the gift that they wish to have, but they know their limitations. They only request for items which they think we can afford to buy for them. This year as in the previous years, we asked them what they wish for Christmas. 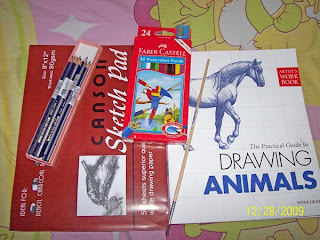 For my daughter she wished for sketch pad and pencil, drawing guide book, and watercolor pencil. 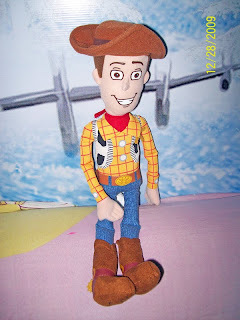 And for my son, he only wants Woody of Disney Pixar’s Toy Story. This entry was posted in Uncategorized and tagged family, holiday, kids on December 27, 2009 by Mommy Yam.